Good morning my lovely followers! 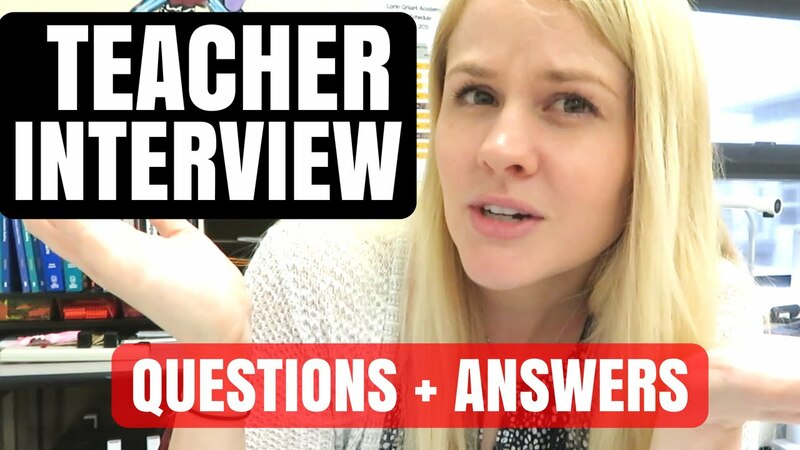 Today I'm sharing a collection of teaching interview questions and answers to help all of my friends and followers that recently graduated and are looking for a teaching position. Here I put together 20 common questions that are often asked during teaching interviews, and that I've been asked myself as well. I wanted to create this article for you because when I was about to go on different teacher interviews, I was unable to find any of this info and I want to help out all of the future teachers when I can! So here we go! 2. Why do you want to be a teacher? 3. Why do you want to teach HERE? 4. Tell me about your Classroom Management. 5. How do you handle Behavior Management or behavior issues that arise? 6. How do you communicate with Parents? 7. Tell me about something that went wrong when teaching. What did you do? 8. What frustrates you the most in the classroom? 9. How do you differentiate work for your ELL's, SSN's, and Gifted students? 10. What are your interests outside of the classroom? 11. What activities can you coach or advise? 12. Describe your Teaching Style. 13. Tell me about your Teaching Strategies. 14. If I were to walk into your classroom, what would I see, what would it look like? 15. What is your greatest success in teaching so far? 16. How do you motivate your students? 17. Tell me about you Profession Development experiences. 18. How do you collaborate with staff on campus? 19. Tell me about a lesson you've taught that worked really well. Why did it work so well? 20. How do you use technology in the classroom?